TechnoBuffalo's Favorite Scary Movies. What Are Yours? Scary movies don’t get enough credit. They’re cheap. They’re cliche. But they’re also some of the most fun you can have at the movies. Not everyone enjoys purposely scaring themselves, but there’s certainly a morbid thrill involved. It’s the fear and mystery of the onscreen situations that drive our interest. We welcome the fear; it somehow awakens a more primordial instinct that is typically dormant throughout everyday life. Now that it’s Halloween, we figured why not reveal what TechnoBuffalo’s favorite scary movies are and why. Saw was unlike anything I’d ever seen. It was different. It was dangerous. There was something very taboo about watching a group of people get tortured in very grotesque ways — not that I particularly enjoy watching people suffer. It’s like rubber-necking at a car wreck — you can’t help but look, even though you might not like what you see. Saw is it’s own disturbing horror sub-genre, one that deviated from the typical run and slash plot of so many scary flicks. 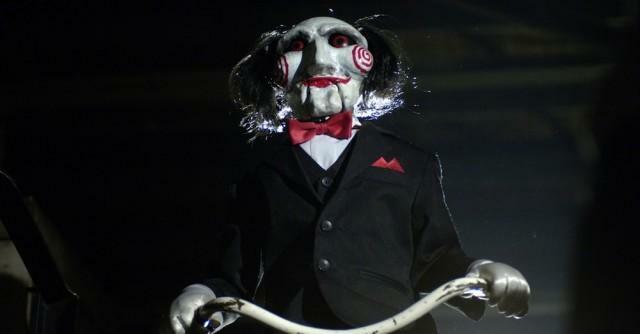 The name Jigsaw still creeps me out to this day. The original John Carpenter Halloween film easily ranks as one of, if not my favorite horror films of all time. It essentially gave birth to the entire genre of slasher films, but it was also one of the most frightening as Michael Myers was more of a force of nature than a man. This led to him later being referred to by many fans as “The Shape” as he was something far more than the little boy we saw at the beginning of the film. Sadly the franchise got tainted over the years. As of Halloween III: Season of the Witch, the series just went in all sorts of odd directions, but the original and its immediate successor are two of the most frightening films out there in my book. Trivia fact: The original Michael Myers mask was a Don Post Studios Capt. Kirk mask painted white. Years later when Don Post went back to make the Michael mask, he had to acquire a whole new license even though it was his own mold. I knew nothing about this movie going in, and I don’t even remember why I saw it in the first place. Cheap, jump-out-at-you scary movies are no big deal. Other people might not agree, but I felt like The Ring screwed with your mind. It was a deeper horror, something that slowly crept in and kept the tension up at a ridiculous level. The way the plot unfolded, and you learned more and more about Samara and her past. The way her ghost killed people who had seen the video tape, and how she would ominously creep toward (and out of) the TV screen. It doesn’t quite have the effect it did ten years ago, but the movie still gives me chills. I’m one of those strange people that’s actually terrified of scary movies. I can’t stand gore. That’s why I didn’t have much to recommend for this list except a few that stand out in my mind. 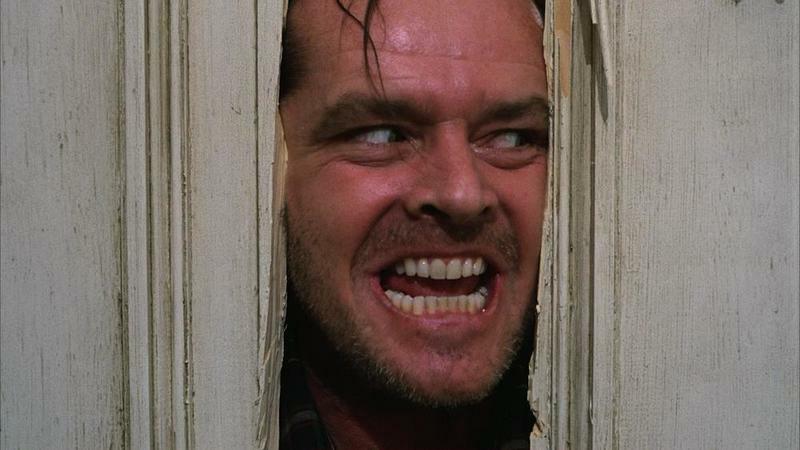 One of my favorites is The Shining. I had seen pop-culture references to the film forever — The Simpsons references it regularly — but never actually sat down to watch it until I was in college. My school was showing it on a huge screen as part of a special drive-in movie on campus for Halloween. My (now) fiancé and I thought it would be fun to participate. We drove up, brought popcorn and watched it from my Jeep Cherokee. The movie holds a special place in my heart because it focuses around Jack Torrance, a maddened writer, and takes place in a beautiful, creepy and magical abandoned hotel that reminds me of a vacation spot I went to growing up. I’m also a big fan of Stephen King. Clowns didn’t scare me until I saw Stephen King’s IT. Though, technically a miniseries, but I don’t care what you classify it as, IT is frightening. 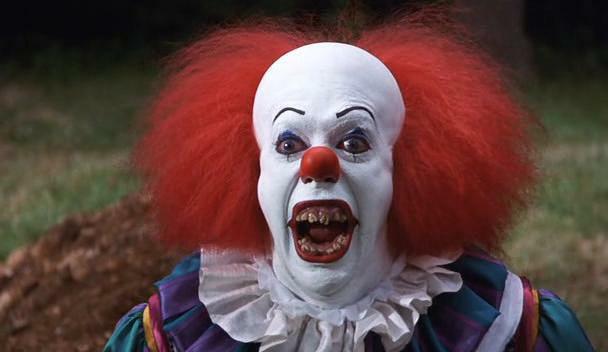 The villain in IT is Pennywise the Dancing Clown, he will mess with your mind. He lures a kid into a sewer drain. No good has ever happened from people living in sewers. NONE! IT is a collection your biggest nightmares melded in to 3 hours and 12 minutes of pure terror. Thanks to IT, I never looked at Ronald McDonald or sewer drains the same way.